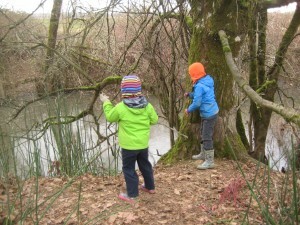 We spent a fun morning recently throwing sticks onto our frozen creek. Hello, friends! It feels like it has been a long time since I last came to this space with an update, and I miss it! 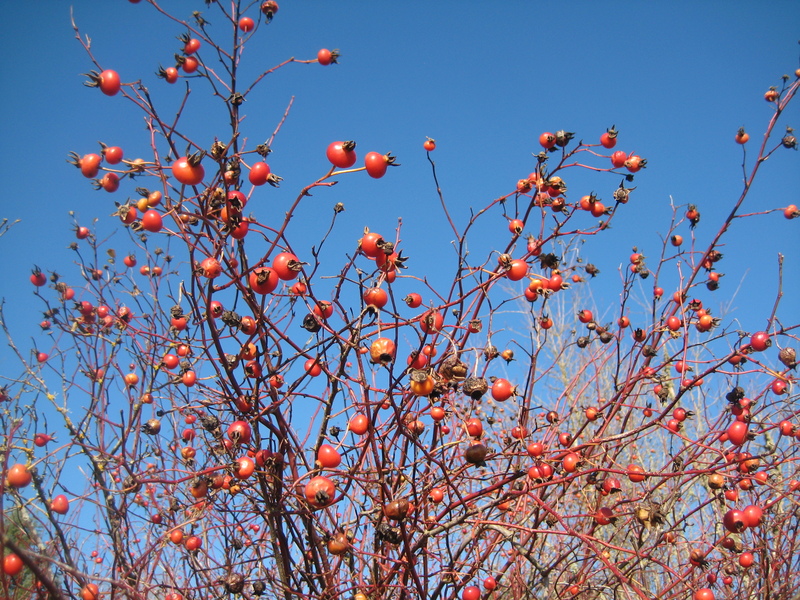 We’re about halfway through our winter break, and I wanted to pop in here to say howdy and give folks an update on what we’re doing around these parts when we’re NOT doing the CSA. 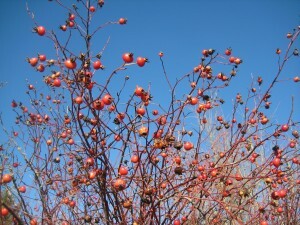 First, of all, as expected the first few weeks of our break were almost wholly consumed by sicknesses and holiday gatherings. I predict this will be the same every year, and I dislike that it seems so pessimistic to expect illnesses in November/December. But this just seems to be the case! Certainly, a few rounds of coughs or colds don’t completely shut us down, but they really do limit our productivity. Combine feeling under the weather with actually dark/rainy weather and shorter days, and it becomes a time when we prioritize deeper levels of rest. Perhaps as it should be in those weeks of Advent! Of course, punctuating those moments of rest were wonderful get togethers with friends and families, as well as the other random kinds of things that we “save” for when our schedule is more open (doctors visits and the like). A few highlights from December: Katie led a panel discussion at the Women in Sustainable Agriculture Conference in Portland; Katie’s choir concert; taking the kids to see the Nutcracker for the first time; and placing an order for another new greenhouse (this is often our end-of-year bonus to ourselves if we’ve had a good season!). Now that January has arrived, we feel invigorated by the new year and are happily making lists in our notebooks again of all those big tasks we want to get done before the CSA begins in mid-February. We’ve got just over a month to do some BIG stuff, but the lengthening days and occasional bright sunny winter sunshine help make it feel possible! And, perhaps the most note-worthy item of all (and one you’ve likely noticed yourself if you are local to us!) — this has been a very wintery winter so far here in Western Oregon! My goodness! Snow is falling again as I write this post, and it’s become almost ho hum and normal after many, many days of snow already in the last month. Casey and I can’t remember a winter quite like this in our 11+ years of farming here, where we faced seemingly endless days of sub-freezing temperatures and/or actual snowfall. Certainly, we remember some wicked cold snaps and snowfall events, but they were always events that ended. This is just winter, ongoing. 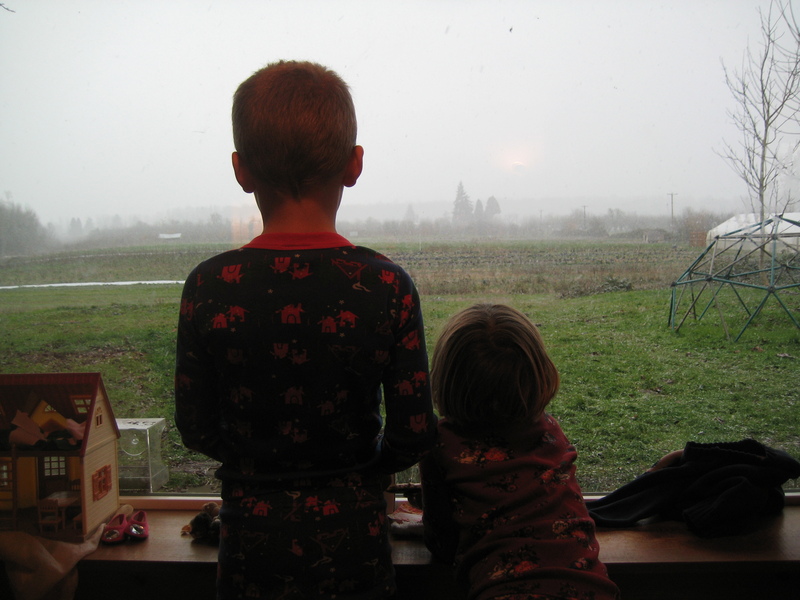 Watching the snow begin to fall … again! Overall, our life this year is not overly complicated by the wintery winter — we are grateful that we had already decided to extend our winter break a bit longer. We even decided to take a few weeks off from restaurant harvests (the first time ever!) so that we can just leave the fields be during all this freezing weather. Honestly, when it is this cold, just regular harvest is about 10 times more complicated, and just being out in the fields can feel like we are damaging plants that are working really hard to get through the low temperatures alive! Casey invented a new game to play during morning P.E. 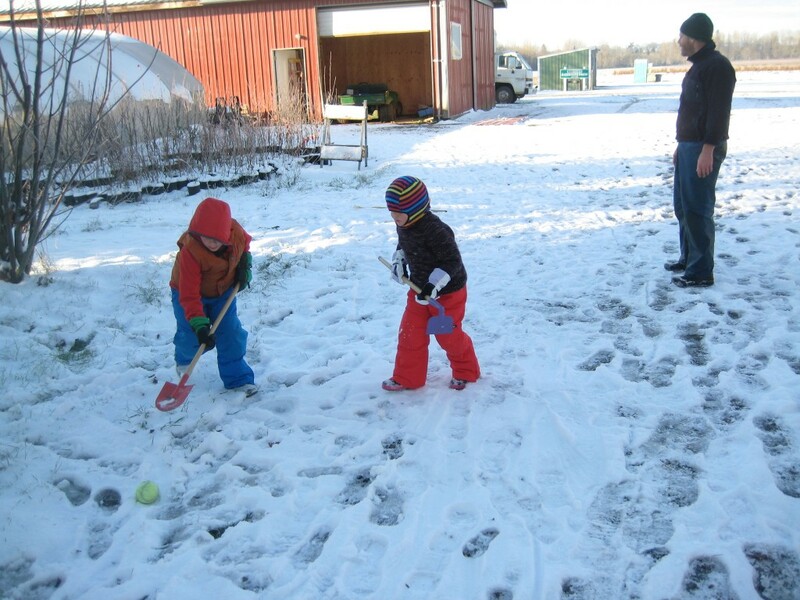 : farm snow hockey in the driveway! 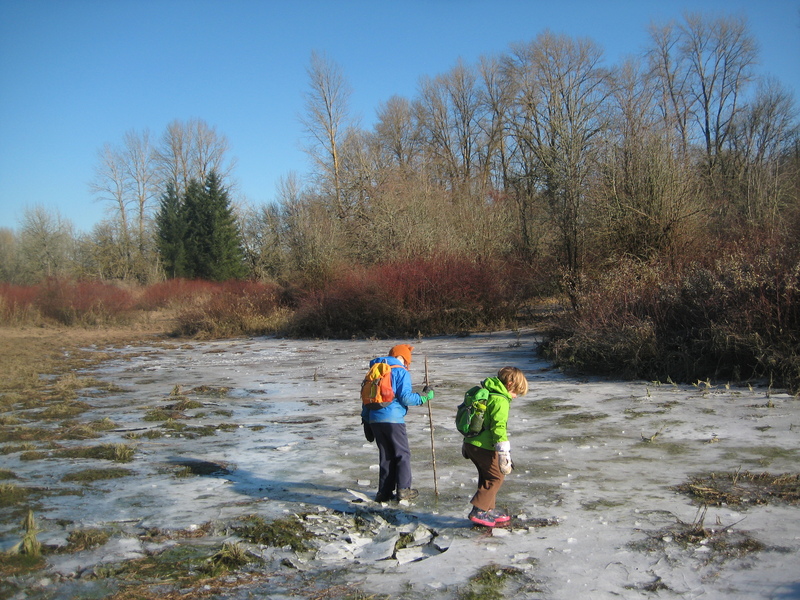 On a recent outing to Willamette Mission, the kids and I found a GIANT frozen-over puddle and had a blast crunching all over it. 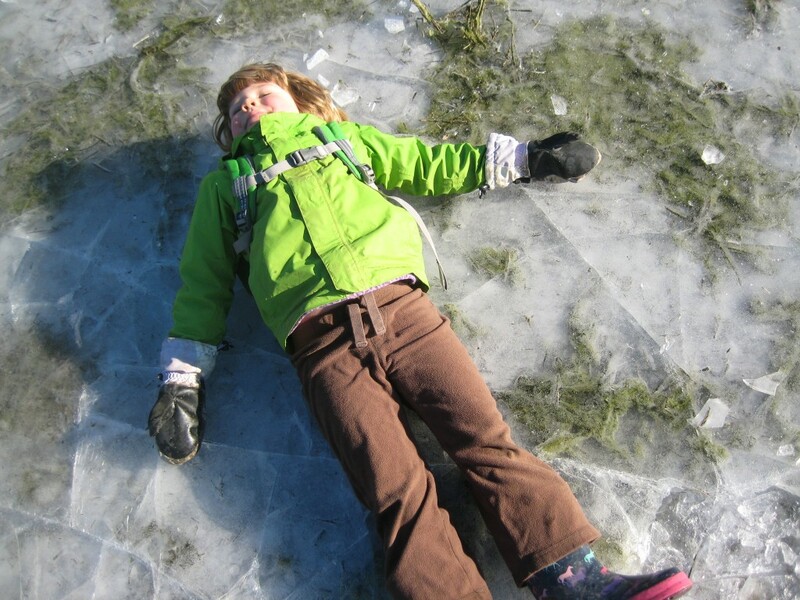 And, apparently it was even fun to lie down on the ice! I’m sure the brilliant winter sun helped! We hope that you have also been making the best of winter’s challenges and joys! We look forward to returning to our normal routines toward the end of February, perhaps most of all because we miss seeing all your friendly faces at pick-up. Before then, we will work diligently on our to do lists, including building our new greenhouse, planting seeds in our existing greenhouses and starting seeds in the hothouse! 2017 is commencing with a flurry of activity already! P.S. Have you signed up for our 2017 CSA season yet? Now is the time! You can do so now here. One Response to Happy 2017! We are enjoying your pictures of the kids outside having fun. What will you be doing for Thanksgiving? Aunt Becky has invited us to their house for this holiday. We are not sure we can go but we will see if Steve or someone else will drive their large car.